DERBY County manager Frank Lampard piled more misery on his former Chelsea boss Jose Mourinho as the Rams beat 10-man Manchester United 8-7 on penalties, while Manchester City cruised into the last 16 of the League Cup on Tuesday. Mourinho paid the price for making nine changes in a thrilling 2-2 draw at Old Trafford before spot-kicks with Paul Pogba rested on another day dominated by the Frenchman's frosty relationship with his manager. Phil Jones finally missed from the spot after 15 successful penalties in a high quality shootout. Mourinho admitted he felt United were in trouble in the penalty shootout when it went to sudden death. "They tried until the last second and then the penalties come and someone has to miss, and when I saw it going after the sixth, the seventh, I knew we were going to be in trouble with Jones, with Eric (Bailly), I knew we were going to be in trouble then," the Portuguese said. Mourinho confirmed that Pogba will not captain United again under the Portuguese due to his persistent public outbursts criticising the Portuguese's tactics. 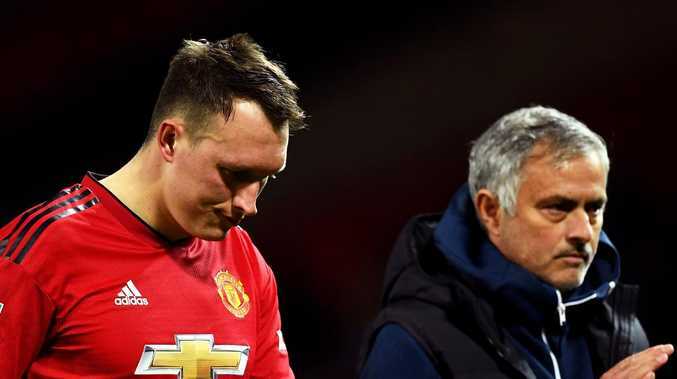 "The only truth is that I made the decision of Paul not to be the second captain any more but no fall-out, no problems at all," Mourinho told Sky Sports. "The same person that decides that Paul is not the second captain anymore is the same person who decides that Paul was the second captain. "I am the manager, I can make these decisions. No fall-out at all, no problems at all, just one decision that I don't have to explain." Early on it seemed like Mourinho would get a positive response to Saturday's 1-1 draw with Wolves as one of Lampard's former Chelsea teammates Juan Mata slotted home the opener after just three minutes at the end of a fine team move. The visitors dominated throughout but had just the one goal to show for it before halftime as Gabriel Jesus headed home from close range.